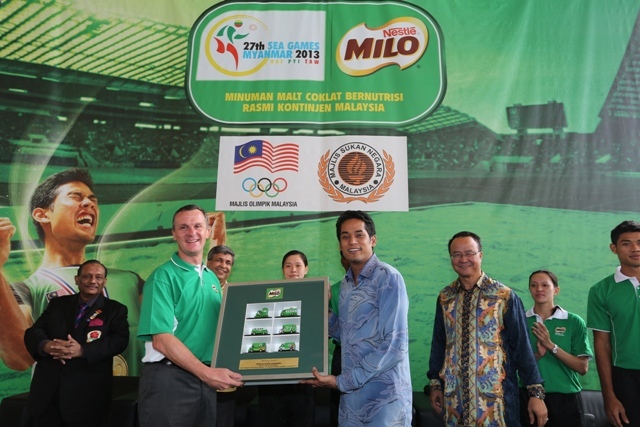 27th SEA GAMES with MILO® ! Sports, how many of you actually still practice this healthy habit after you left your schooling days behind? Gosh, I'm just drooling by thinking of it lol! Used to drink it like everyday before heading to school (not much of a milk person) and it's indeed one of the best energy boosting drinks around for everyone. Not to mention practical too! And now MILO is playing a huge role in contributing for the upcoming campaign together with Olympic Council of Malaysia (OCM). MILO has always been there to give support in the development of young potential national athletes and they are not stopping there just yet. Mr Alois Hofbauer, Region Head of Nestle Malaysia and Singapore giving his supportive speech for the 27th SEA Games. Last Thursday was the official launch of “Fuel for Champions” campaign where two of Malaysia's leading backbone of sports gives us an insight of the upcoming 27th SEA games that will be held in Myanmar. The ceremony was officiated by none other than, YB Encik Khairy Jamaluddin- Minister of Youth and Sports Malaysia at the Bukit Jalil National Sports Complex, National Aquatic Center. 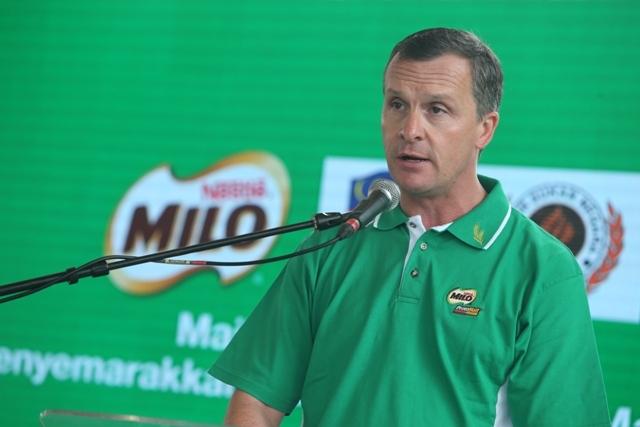 He also acknowledge the efforts and commitment displayed by both MILO® and the Olympic Council of Malaysia with their aim of shaping the youths of our country. 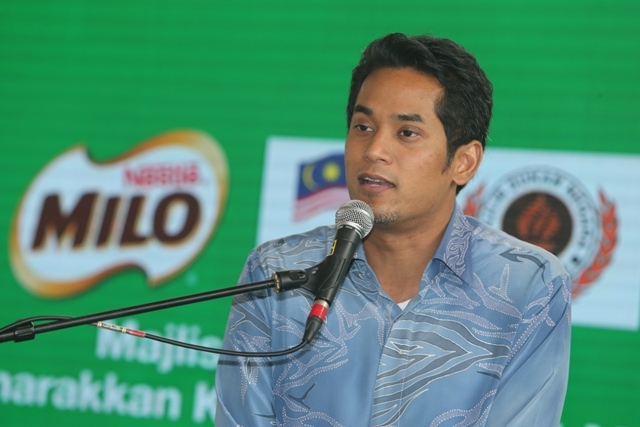 YB Encik Khairy Jamaluddin, Minister of Youth and Sports sharing his insights on how MILO® has become synonymous with Malaysia, and their role in youth development in sports. This campaign isn't just about a one time sponsorship to pursue sports for potential athletes but also a way to encourage Malaysian parents to get their kids participated in beneficial activities such as this. By the looks of it, MILO®'s efforts isn't futile as they are branching out to the grassroots of sports where they are reaching out to children throughout the country. Enjoyed the mesmerizing performance performed by the National Synchronized Swimming Team of Malaysia. Seeing them perform real life beats watching them on television anytime. Mr Alois Hofbauer, Region Head of Nestle Malaysia and Singapore presenting a collection of miniature MILO® trucks to YB Encik Khairy Jamaluddin, Minister of Youth and Sports as a token of appreciation during the ceremony.